Dimensions 585'6" by 65'3" by 18'4"
1942: Light antiaircraft upgraded to 4x2 1.1" guns and 8x1 20mm Oerlikon AA guns. 1943: 1.1"guns replaced with 4x4 40mm Bofors AA guns. 1944: Light antiaircraft upgraded to 6x4 40mm, 20 20mm guns and aircraft reduced to two seaplanes and a single catapult. 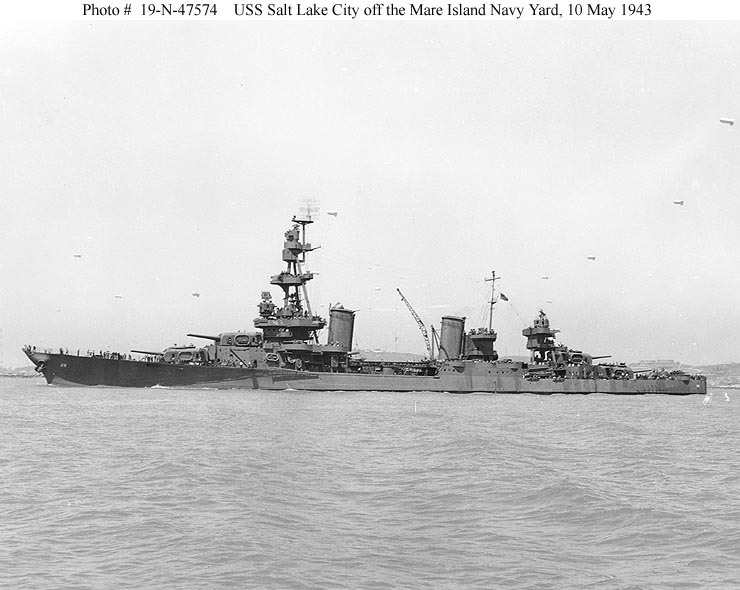 Following the end of the First World War, the U.S. Navy saw a need for a new class of cruisers that could outfight the British Hawkins class and had the radius of action needed for a Pacific conflict. 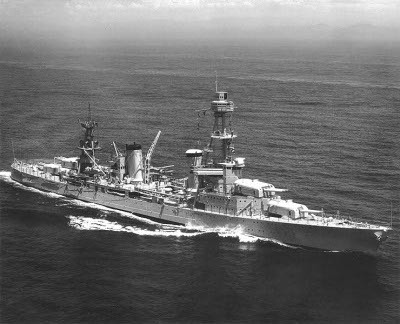 Although design studies began as early as 1919, the mood of the country was opposed to new armaments and no design was accepted before the naval disarmament treaties created the new category of heavy cruisers, which were limited to 10,000 tons displacement and 8" (203mm) guns. 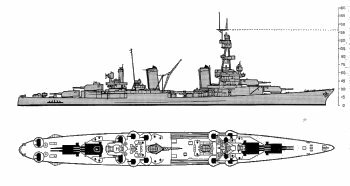 The Navy eventually looked at no less than seven designs ranging in displacement from 5000 to 10,000 tons and armed with 5" (127mm) to 8" (203mm) guns. 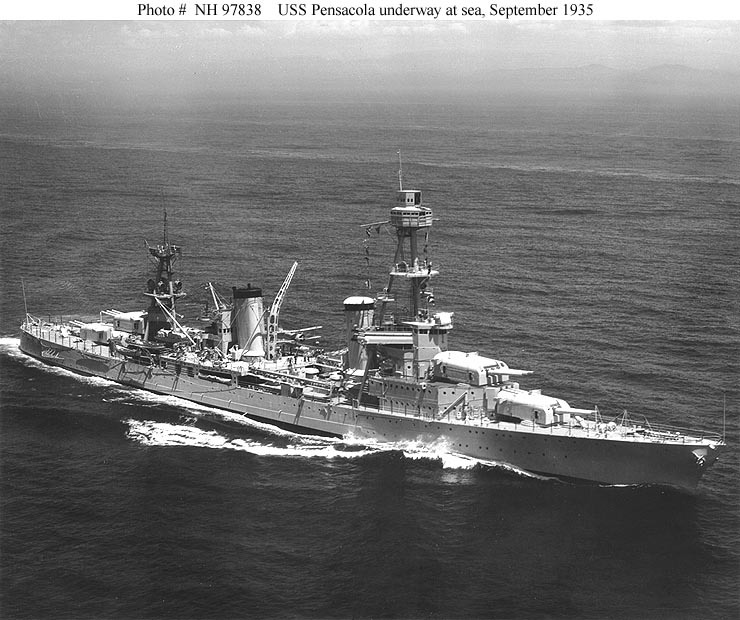 A design began to emerge in November 1923 and was finalized in March 1925 that would become the Pensacola class. Like most American cruisers built between the wars, the Pensacolas were built with the utmost economy (costing $11 million apiece), were rather lightly armored, and were somewhat unstable. Their armament was fairly substantial, but the barrels were so close together that the muzzle blast from adjacent barrels perturbed the shells and resulted in a rather high dispersion pattern. The guns were mounted on a single sleeve, so that they had to be elevated together. 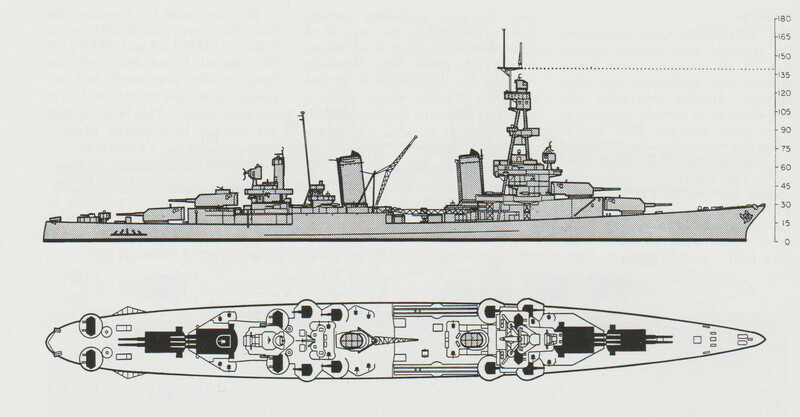 The ships had the distinctive feature of triple turrets superfiring over twin turrets, to better allow the lower turrets to fit within a very slim hull. Fire control for the main battery was provided by a Mark 18 director atop the main mast. These ships used mostly welded construction rather than riveting, a departure from previous practice. Machinery dispersal was good. 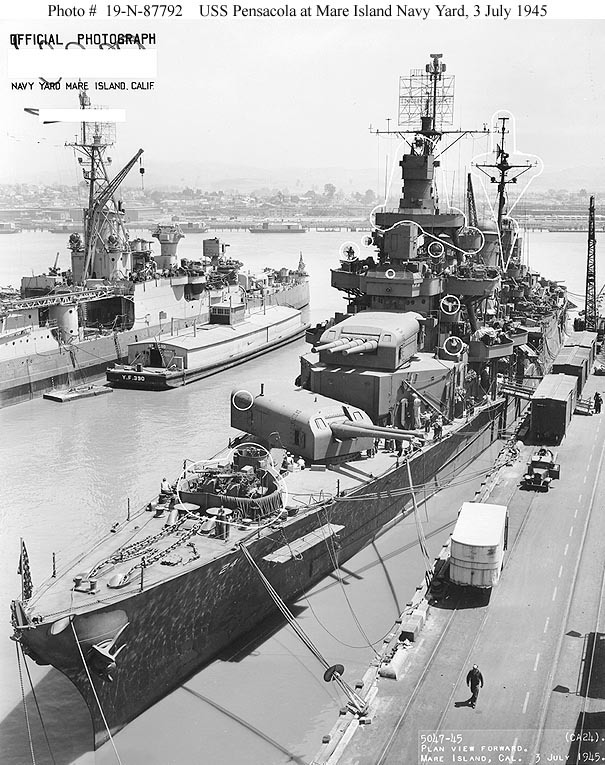 Extensive weight-saving measures brought the displacement well below the 10,000 tons permitted by treaty, and some of the weight allowance was reincorporated in the form of increased protection. 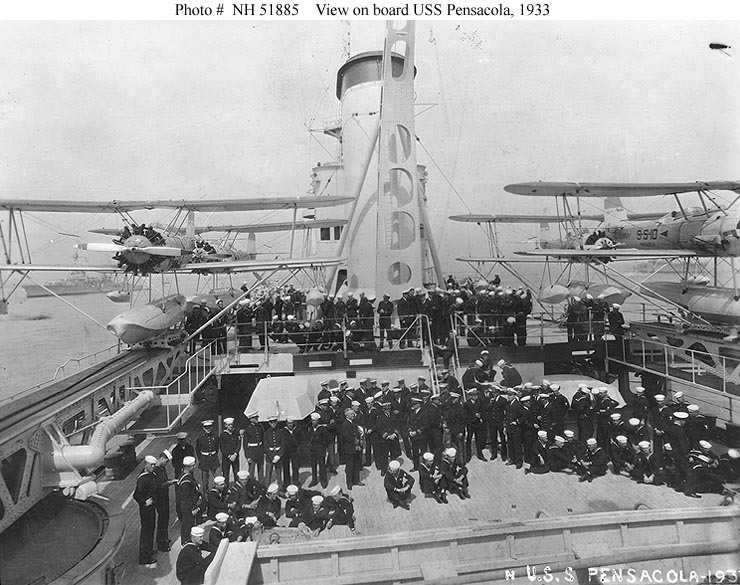 The Pensacolas were completed in 1929-1930. 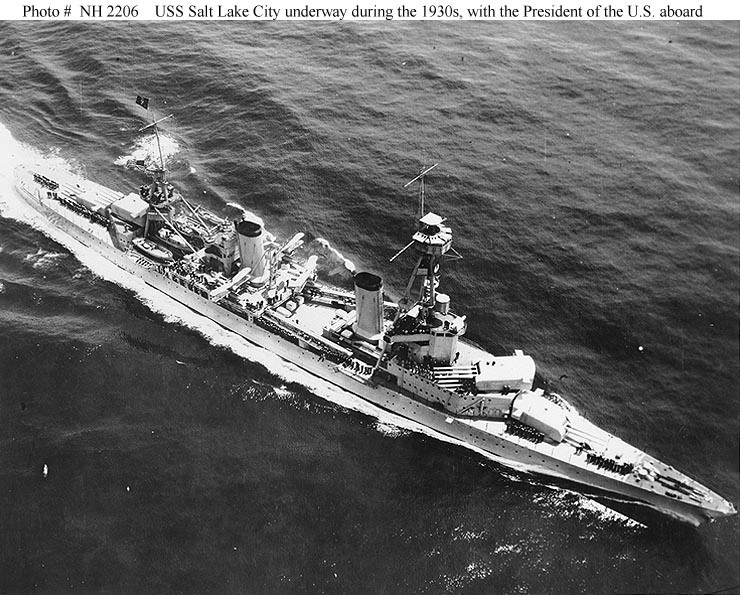 Although Pensacola was laid down first, Salt Lake City was launched and completed first, and so some authors describe the class as the Salt Lake City class. 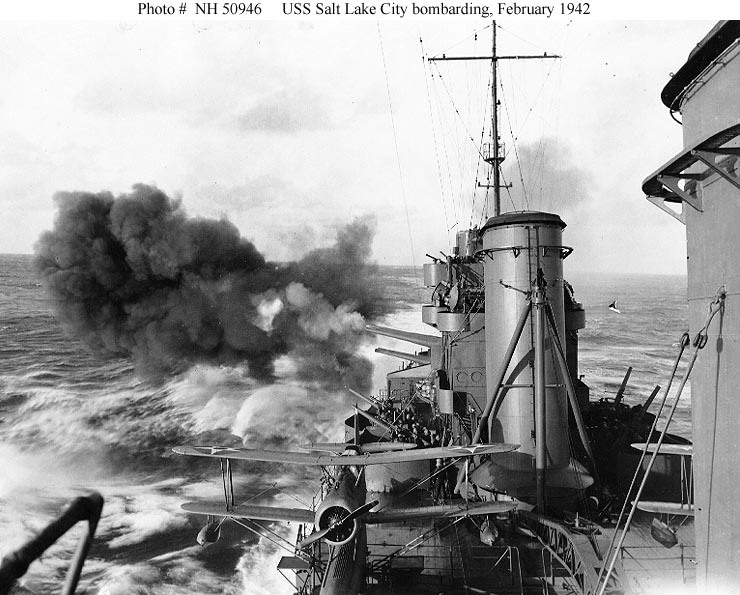 Like most American cruisers, the Pensacolas landed their original torpedo armament prior to the outbreak of war in the Pacific. Both ships survived the war.